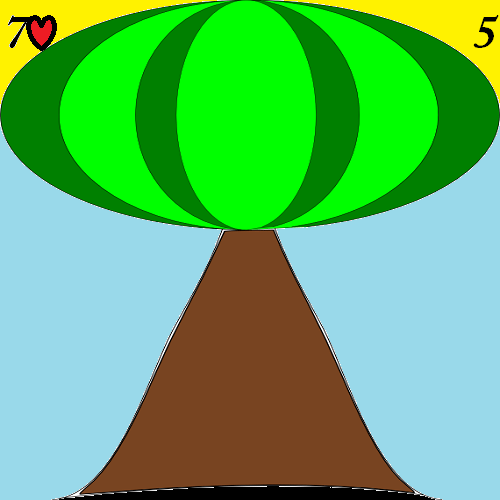 The meaning of the fifth Lenormand card, Tree, is health. Tree in Rider position: health news. Tree in Clover position: Health recovery. Tree in Ship position: Going away to get better. Tree in House position: Slowing down. Tree in Tree position: Focusing on health. Tree in Clouds position: Health confusion. misdiagnosis. Tree in Snake position: Health danger, OHS issues. Tree in Coffin position: Health problems. Tree in Bouquet position: Healthy mind, body, and spirit. Tree in Scythe position: Surgery, accidents. Tree in Whip position: Pain related health issues. Tree in Birds position: Support group, meditations group, walking group etc. Tree in Child position: Child-related health issues. Tree in Fox position: The health industry. Tree in Bear position: Health of boss or mother. Tree in Star position: Health goals. Tree in Stork position: Health recovery. Tree in Dog position: Health of a friend. Tree in Tower position: Hospital. Tree in Garden position: A health event. Tree in Mountain position: Ignoring health. Tree in Crossroad position: Making health decisions. Tree in Mice position: Stress related health issues. Tree in Heart position: Heart health. Tree in Ring position: Health of partner. Tree in Book position: Health study. Tree in Letter position: Health documents. Tree in Man position: Male healer. Tree in Woman position: Female healer. Tree in Lily position: Old age. Tree in Sun position: Energetic, health in good condition. Tree in Moon position: Heartache, sadness. Tree in Key position: Health being taken seriously. Tree in Fish position: The health business. Tree in Anchor position: Stable health. Ship in Cross position: Health burdens. 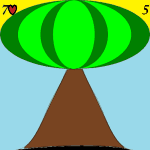 Tree in Lenormand indicates the seeker’s health. As the list above details, Tree can be both good or bad; it can denote recovery from illness or that health burdens.